Dr. Alavi completed her dermatology residency at the University of Toronto and became a Fellow of the Royal College of Physicians and Surgeons. She is a staff dermatologist at Women’s College Hospital and Assistant Professor in the Faculty of Medicine (Division of dermatology) at university of Toronto Prior to joining the faculty, she completed a Wound Healing Fellowship in 2005-2007 and earned a Master of Science in Community Health at the Dalla Lana School of Public in 2012. Dr. Sanaz Zarinehbaf received her bachelor of science in Kinesiology from York University. She completed her medical training at the Michael G. Degroote School of Medicine in Hamilton, Ontario, and her family medicine residency at Toronto Western Hospital. Dr. Zarinehbaf has underwent extra training in the field of dermatology during her residency. She practices as a general practitioner, as well as GP-dermatologist in both medical dermatology and cosmetic dermatology. She is also active in training medical students and family medicine residents in her family medicine practice. Patrice earned a Medical Office Assistant diploma in (year). She has worked in the medical field for the last 15 years and has been the office manager for the last 5 at York Dermatology Center. She is responsible for the daily operations of the clinic, but you may also see her assisting our receptionists when needed. Salma earned an Office Administration in Health Services diploma in (year). Her previous experience is from the Mount Sinai Hospital eye clinic. Salma has worked as a receptionist at York Dermatology Center for the last year and is the front-line staff member who is fluent in Farsi. Jeannine received her Doctor of Medicine in 2011 from Instituto Superior de Ciencias Medicas in Cuba. She worked in the hospital system in Jamaica for two years before moving to Canada with her family. During her time at York Dermatology Center, she has completed the International Interprofessional Wound Care Course at the University of Toronto and is currently working on her Master’s Degree in Public Health at the University of California, Berkeley. Jeannine is the Director of Clinical Research. She oversees the conduct of the clinical trials and monitors patient safety for all of our research patients. Afkham received her Medical Doctorate in 2001 from the Rafsanjan University of Medical Science. She worked as a family doctor in Iran, and for the UN Refugee Agency, before moving to Canada in 2013. She currently works as a Clinical Research Coordinator and is responsible for patient visits for all of our research studies. April graduated from the Bachelor of Science in Nursing at the University of Toronto in 2017. She has worked at York Dermatology Center since the beginning of the year, as the clinic nurse, and a Clinical Research Coordinator. She is responsible for assisting the physicians, administering IV medications, and research patient visits. Greg has worked in clinical research for the last 10 years. He had previously worked for another dermatologist before relocating to our clinic 2 years ago. He currently works as a Clinical Research Administrative Coordinator, and is responsible for most of the logistical, regulatory and laboratory tasks at the clinic. Greg has worked on more than 90 clinical research studies, many contributing to the development of biologic and systemic drugs on the market today. Dr. Alavi completed her Dermatology residency at the University of Toronto and became a Fellow of the Royal College of Physicians and Surgeons of Canada. She is a staff Dermatologist at Women’s College Hospital, and Assistant Professor in the Faculty of Medicine (Division of Dermatology) at the University of Toronto. Prior to joining the faculty, she completed a Wound Healing Fellowship from 2005-2007 and earned a Masters of Science in Community Health, at the Dalla Lana School of Public Health, University of Toronto, in 2012. 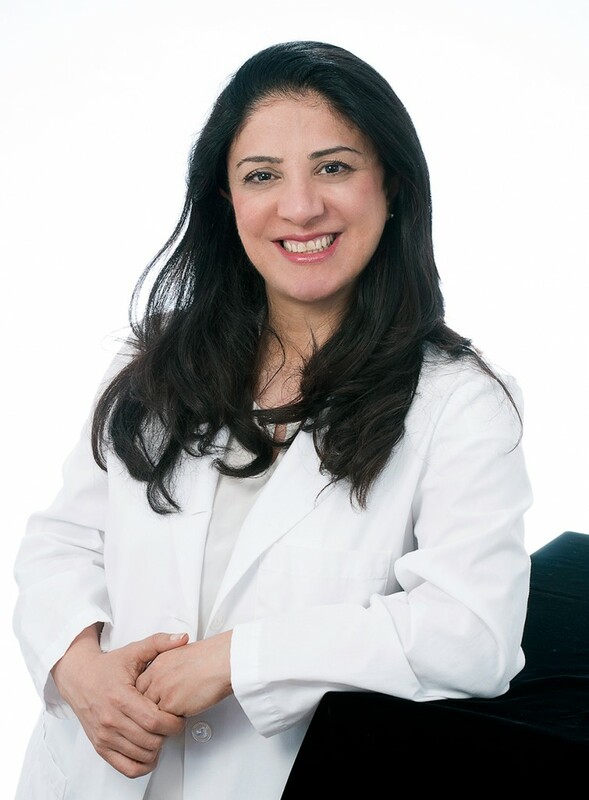 Dr. Alavi is actively involved in both medical dermatology and clinical research, as well as teaching at her private practice in Richmond Hill. She has multiple publications featured in peer-reviewed journals and several book chapters. She is the past-president of the Canadian Hidradenitis Suppurativa Foundation, and Regional Director (Ontario) of the Canadian Dermatology Association. Dr. Alavi, along with several of her colleagues have started Canada’s first multidisciplinary hidradentitis suppurativa (HS) clinic. HS patients will have the opportunity to meet with a Dermatologist, Surgeon, Psychotherapist, nutrition specialist and weight loss specialist in one location, and sometimes with just one visit. As HS, and its many concurrent conditions warrants seeing numerous specialists, having one location to access all of these specialists has shown to be beneficial to patients.